Summer is a much-needed treat. In the midst of fun, it’s a good idea to pay attention to our spiritual life. Thankfully, we can continue in the carefree style of summer and still enjoy a growing relationship with God. It’s no wonder summer is a season for carefree living. After months of itises—senioritis, workitis, winteritis, lifeitis—it’s nice to finally relax. And so we sleep in a little, plan vacations, and slack on our schedules. Summer is a much-needed treat. In the midst of fun, it’s a good idea to pay attention to our spiritual life. Thankfully, we can continue in the carefree style of summer and still enjoy a growing relationship with God. Our tips for staying on track are below. 1. Stick to quick reads. Summer is the perfect time to invest in a devotional. Ask friends for recommendations based on the type of study you’d like to do then visit your local bookstore, place an order online, or download an electronic version. The key is to buy something you’ll actually have time—and make time—to read. Shoot for one- to two-page readings with a central theme you can meditate on throughout the day. 2. Write out your prayers. Get in touch with your inner teen—the one who expressed her emotions freely and dreamed without hesitation. That girl knew how to journal. Grab a pen and a notepad, and jot down your prayers. You can write in paragraphs, make lists, or even draw. Embrace the season by indulging your creative side. Open up your heart and mind to what God has to say and what He wants you to do. If you have school-aged kids, you know the joy that is the end of summer and a return to normalcy. June and July’s ever-changing activities can feel chaotic. Our relationship with God keeps us grounded—a foundation we desperately need during these hot months. While everything else is off kilter, maintain a schedule in your devotional life. Pick a time of day when you can have a moment alone. Do your best to take those minutes—few as they may be—as often as you can. This structure will add balance to your summer. 4. Act on your beliefs. Use days off to your family’s benefit. Talk about one thing you could do together to minister to someone else. This might mean partnering with an existing ministry or coming up with your own idea. Consider your family’s unique passions and abilities and ask God to guide your actions. You might help build a home, serve food, clean up a street, mow a yard, or organize a neighborhood sale to benefit people in need. Whatever you do, be sure it’s a stretch for both you and your kids. When you step outside your comfort zone to help someone else, you experience God’s love in a whole new way. What a wonderful thing to do together as a family! Of course, it’s also okay—and encouraged—for you to relax. 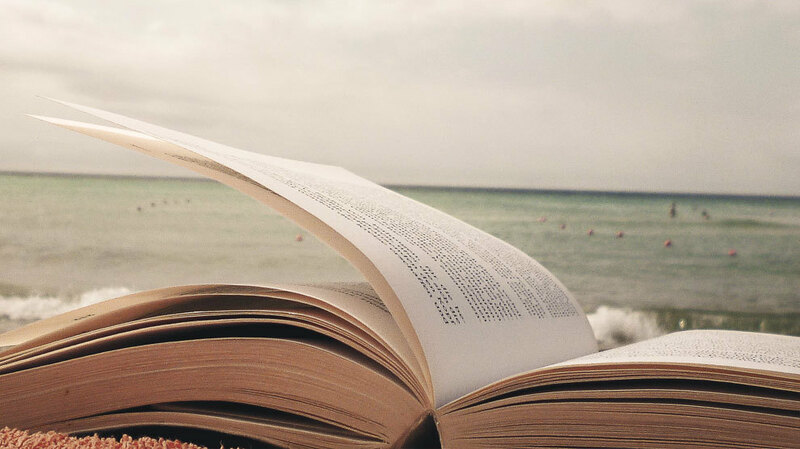 Go on a trip, read a beach book, and watch the sunset. Do a fair amount of nothing. Related: Check out our suggested reads this summer! It’s breaks like these that make the contrast of devotion really mean something.